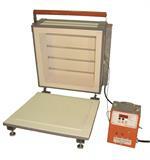 26" Full Kiln Shelf 1" Thick for Glass Kilns Shelf is a great choice to eleminate the seams. 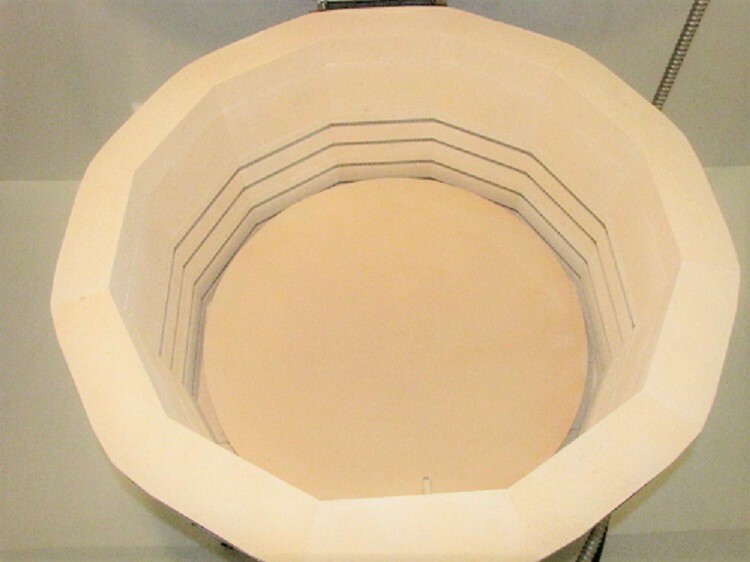 Dimensions: 26" Round Care needs to taken when heating any large kiln shelf. 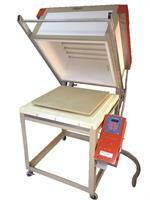 Heat slower than faster, from room temp to about 1000 keep it at 300F per hour or slower. The shelf and the glass have to heat at the same rate and slower ramp rates help this happen. This round shelf allows you to fuse an 18x18" square piece on it. So plan the firings and fire your plan to accomodate the glass and the thick slab it is on. As with any shelf and especial the larger sizes, rocking is not good. The post should be moved an inch or two in any direction to help the shelf not rock, which can crack the shelf. This giant shelf needs to be on at least 4 posts and lttle squared fiber pads on top of each post will help level the shelf. If you order a 28" kiln please order an extra shelf as we cannot ship these via UPS, only freight on a pallet. This shelf size and larger are not UPS Shippable, UPS tends to break the larger shelves.